a)Al-Montaza Palace Montazah Palace is one of the finest places to visit in Alexandria for tourist and citizen alike. This palace was built in 1892 by Abbas II. Citizens of Alexandria are used to going there on weekends or during the feasts. Tourists can enjoy the big green gardens in addition to the view of the sea. There are also some beautiful beaches for anyone interested in going swimming. 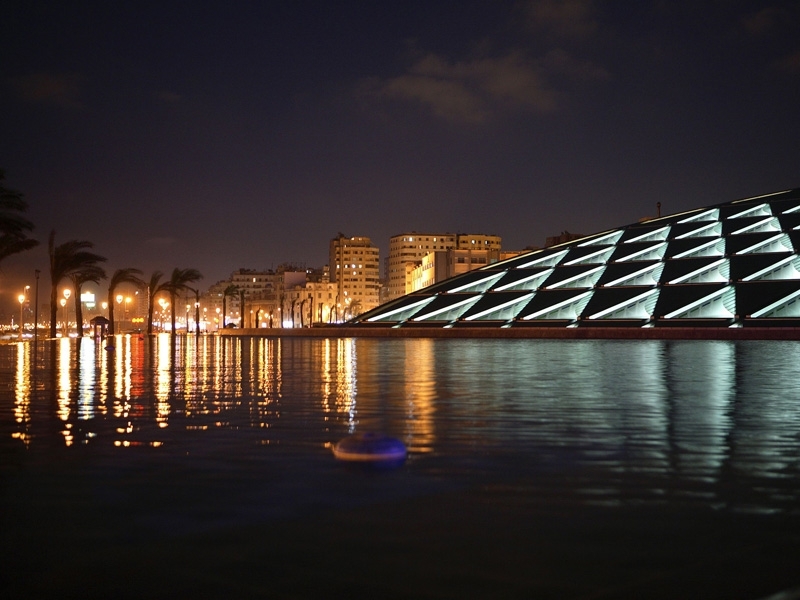 b)The Library of Alexandria Also known as the Bibliotheca Alexandrina, the library is one of the city's greatest attractions. The original library was once the largest in the world. It is thought to have been founded at the beginning of the 3rd century BC during the reign of Ptolemy II of Egypt. 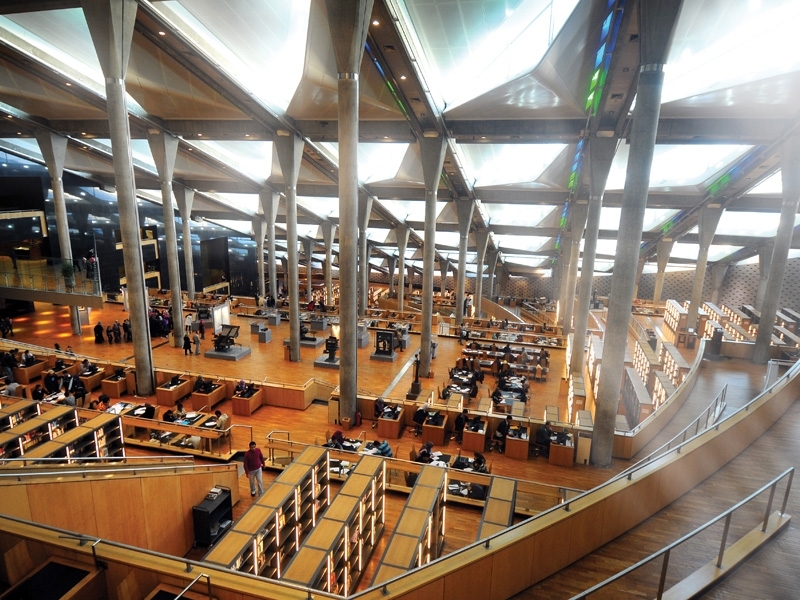 The present Bibliotheca Alexandrina was opened in 2003 near the site of the old library. It is designed in the shape of the sun in front of the sea with a reference to the Sun of Knowledge rising from the Mediterranean sea. 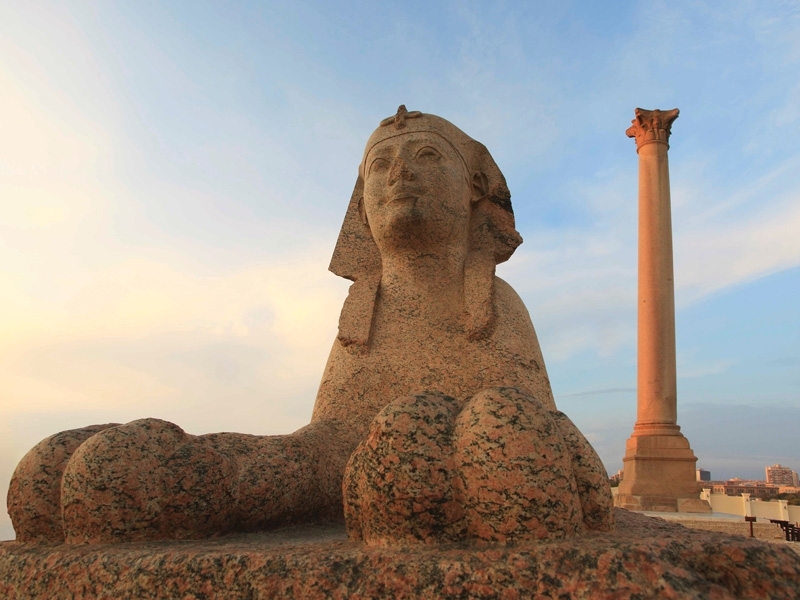 c)Pompey's Pillar A Roman triumphal column, Pompey's Pillar is one of Alexandria's most famous monuments still standing today. It is located on the ancient acropolis, which is a modest hill located adjacent to the city's Arab cemetery. It was originally part of a temple colonnade. It rises to a height of 30 m (99ft) including its pedestal. The shaft is made of polished red granite, measuring 2.7 meters in diameter at its base, tapering to 2.4 meters at the top. The shaft is 27 m (88ft) in height and was made from a single piece of granite. d)The Catacombs of Kom al Shuqqafaa These catacombs are considered to be one of the seven medieval wonders of the world according to some sources. One of the more gruesome features of the catacombs is the so-called Hall of Caracalla which, according to tradition, is a mass burial chamber for those people and animals massacred by of the Emperor Caracalla. The catacombs were discovered in 1900 by chance after a donkey accidentally fell into the access shaft. It is believed that the catacombs were intended for only a single family. It remains unclear as to why the site was expanded to house numerous other individuals. e)The Roman Amphitheater The famous Roman Amphitheater is located close to Masr train station in Alexandria and is a popular tourist attraction. 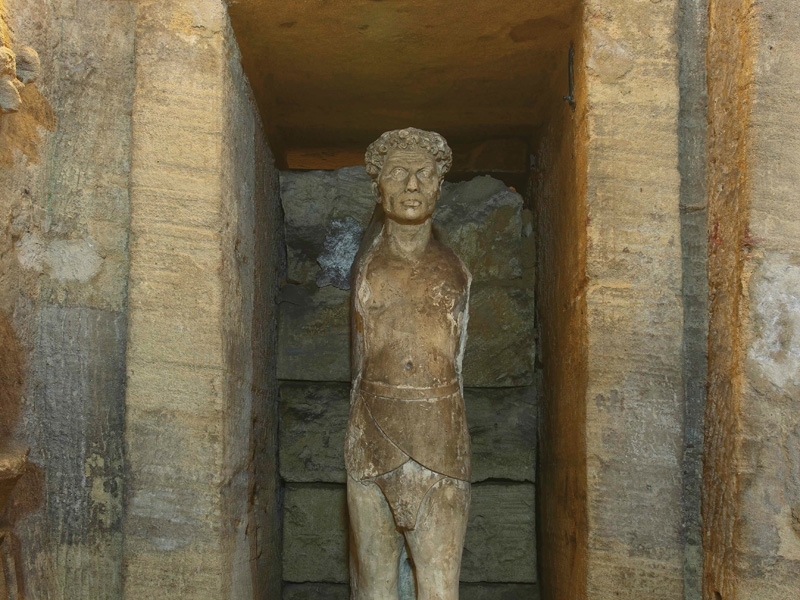 Built by the Romans in the 2nd century AD, it houses some statues which were discovered under the sea. There are two similar, but distinct, types of structure to which the word amphitheater is ascribed: They were large central performance spaces around which sloped seating was built, and were commonly used for spectator sports. They are very much like today's open-air stadia. The name amphitheater derives from their shape, like two theaters joined together (from the Greek word Amphi, meaning two/both). f)The Greco-Roman Museum The Greco-Roman Museum was originally built in 1892 and consisted of a 5-room apartment situated in a small building on Rosetta Street. It was transferred in 1895 to its present location near Gamal Abdul Nasser Street. This building originally contained only eleven rooms. More rooms were added at a later time. There are many pieces from the 3rd century BC, including a fine sculpture of the Egyptian's sacred bull, Apis, in black granite. 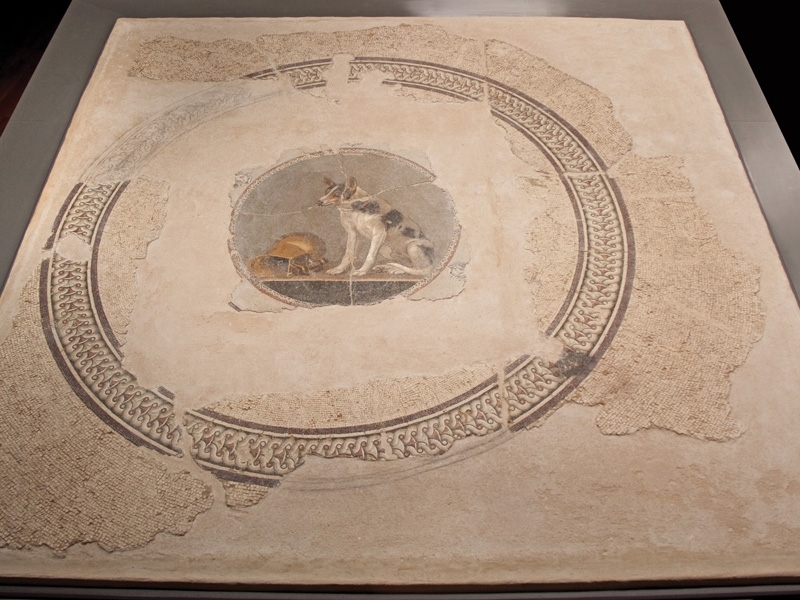 Additional pieces include mummies, sarcophagus, tapestries, and many other objects and sculptures which offer an opportunity to view Greco-Roman influence in Egypt. The Greco Roman Museum in Alexandria contains some magnificent artifacts collected from different areas around Alexandria to be displayed in the Greco-Roman Museum of Alexandria which bearing the Greek inscription "MOYXEION" on its facade to express the Housed artifacts inside it. The Museum is famous for its collections from the temple of Serapis, the god which invented to unify the Egyptian with the Romans. g)The National Museum of Alexandria Formally opened on December 31, 2003, the National Museum is situated in a restored Italian-style palace on Tariq Al-Horreya Street near the city centre. 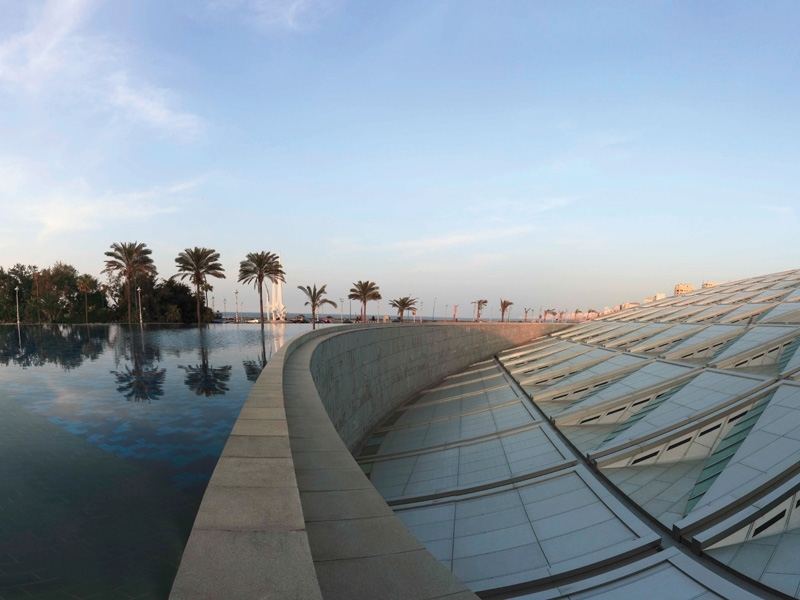 It houses approximately 1,800 artifacts which narrate the story of Alexandria and Egypt. Most of these pieces originally came from other Egyptian museums. The museum is housed in the old Al-Saad Bassili Pasha Palace. Al-Saad Bassili Pasha was one of the wealthiest wood merchants of Alexandria. 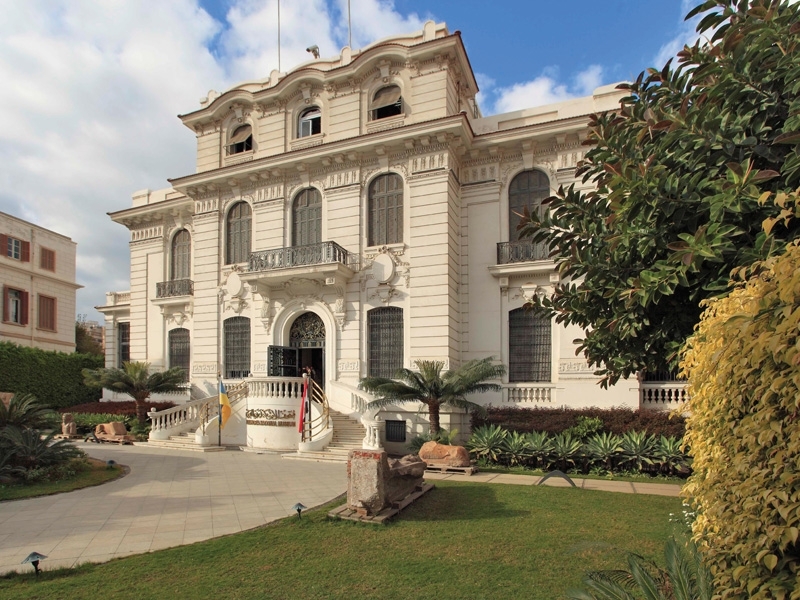 Construction on the site was first undertaken in 1926. h)The Museum of Royal Family Jewelry This is an art and history museum in the Zizenia neighborhood of Alexandria. Formerly the palace of Princess Fatma Al-Zahra, it contains an invaluable collection of jewelry from the dynasty of Egypt's Pasha and Viceroy Muhammad Ali. The exhibit also includes 19th century paintings, statues, and decorative arts throughout the rooms and lobbies. 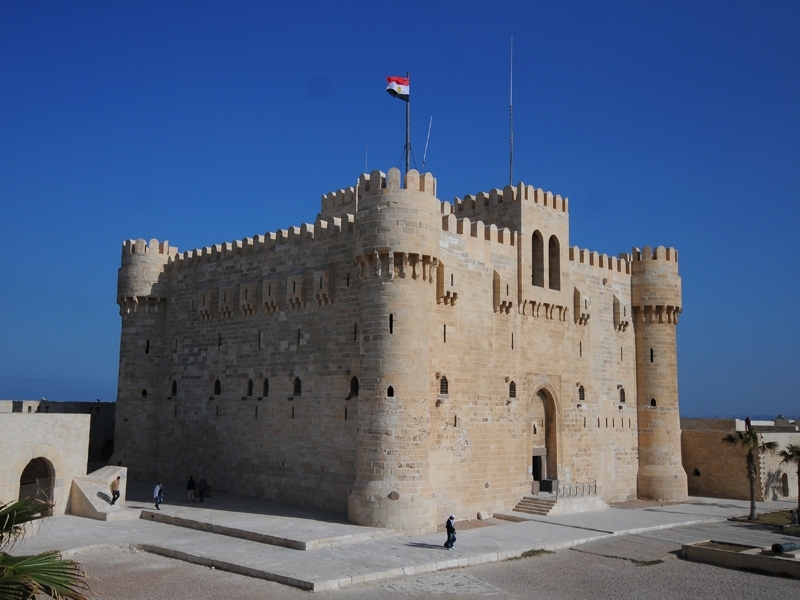 Inaugurated on 24 October, 1986, after many years of renovation and expansion it reopened in April of 2010. i)The Qaitbay Citadel The Qaitbay Citadel is located on the eastern side of the northern tip of Pharos Island, at the mouth of the Eastern Harbor. 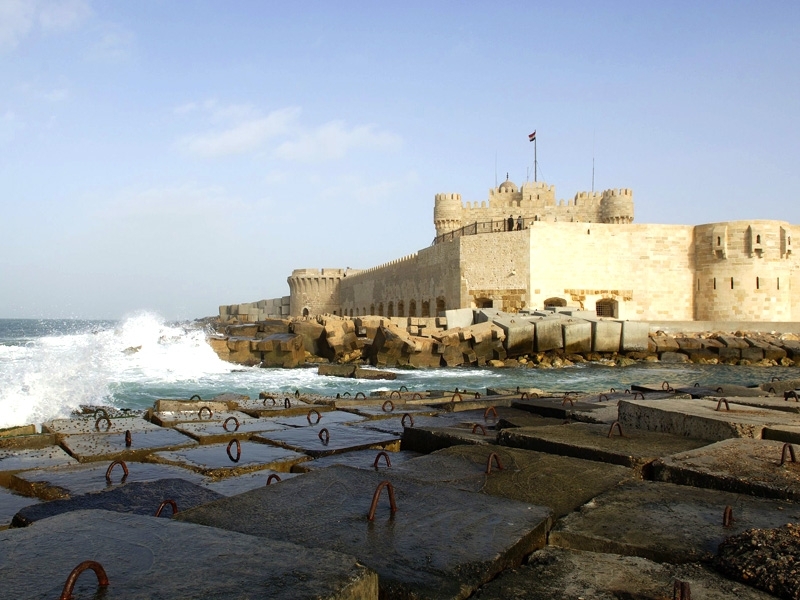 It is considered to be one of the most important defensive strongholds, not only in Egypt, but also along the Mediterranean Sea coast. 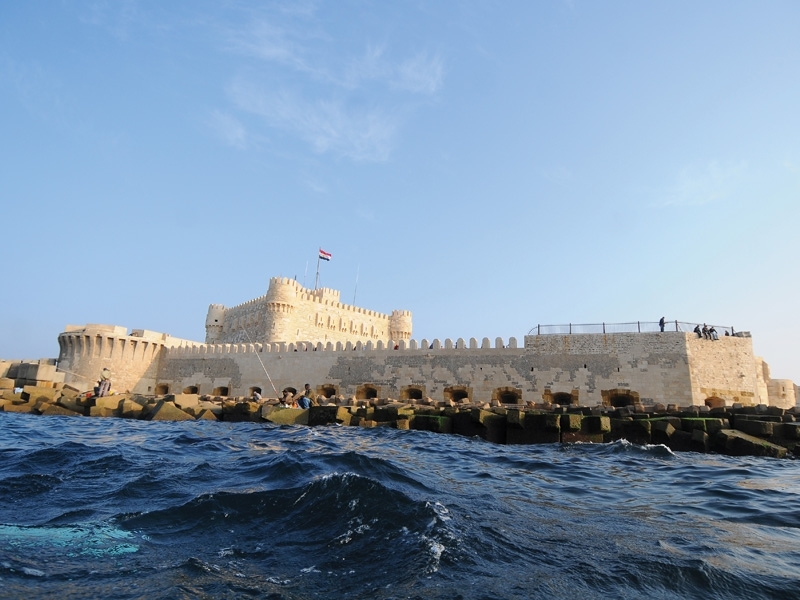 It formed an important part of Alexandria's fortifications system in the 15th century AD. It was erected on the exact site of the famous Lighthouse of Alexandria, one of the Seven Wonders of the Ancient World. It is popular among the people of Alexandria who enjoy the fresh air of the place on summer evenings.